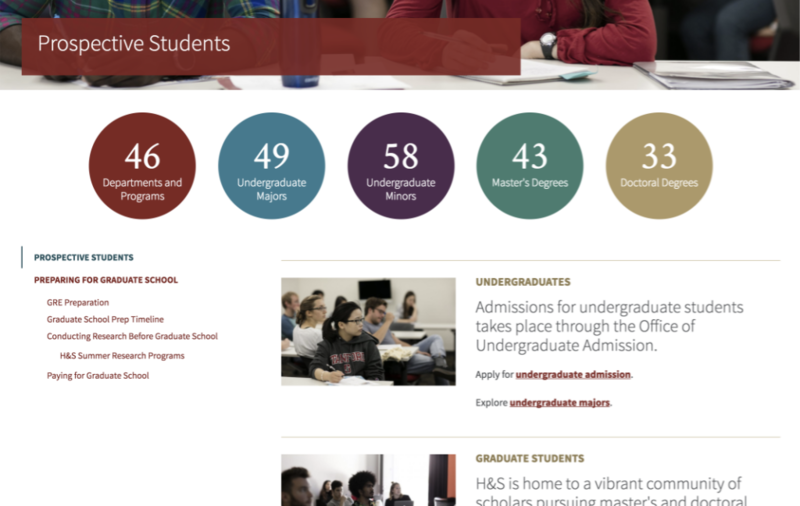 The School of Humanities and Sciences (H&S) is the center of a world-class liberal arts education at Stanford University and came to us for a full redesign. H&S encompasses 23 departments and 24 interdisciplinary programs (IDPs). As the university’s largest school, H&S serves as the foundation of a Stanford undergraduate education no matter which discipline students pursue as a major. All undergraduates take a range of courses in H&S that challenge them to think critically about the world and their roles in it. 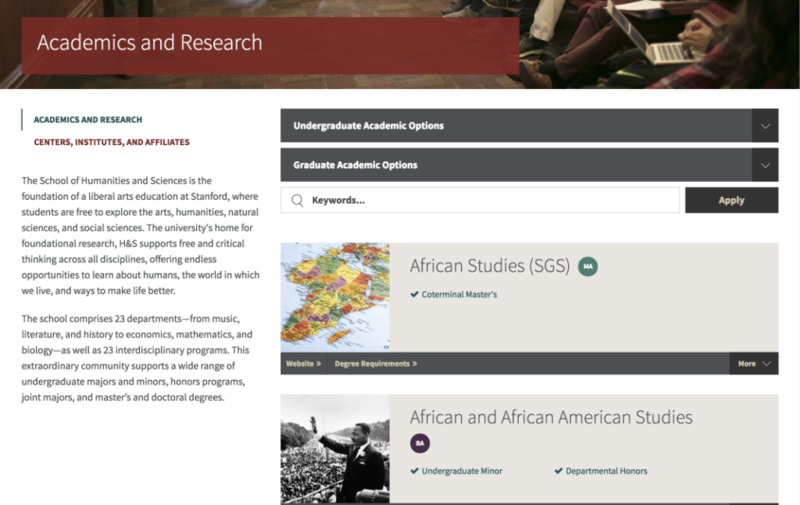 Stanford’s major strategic goal was to create a strong web presence with an accessible and modern redesign that inspires the many audiences about the school’s mission, priorities, and work as well as provides clear information for students, donors, staff, and other stakeholders about the school’s departments, IDPs, and initiatives. After our initial conversations, H&S was confident in our ability to handle a large scale Drupal 8 project, and they responded well to the build methodology that we’ve honed over the years. Our partner, Wire Media, worked together with a core team on Stanford’s staff to crystalize their vision and bring it to life through an in-depth redesign process. Advomatic continues to enjoy a relationship with Stanford H&S post-launch, with ongoing support for fixing small bugs and other minor improvements.